Renault India’s next product in the Indian lineup is all new Renault Captur Automatic and its appeal is funky to me. It’s similar to the Renault Clio in execution and uses the same platform but looks like mini Renault Kadjar. Some of you might even consider this as just one level above the Kwid but it’s not. 2017 Renault Captur is as big as duster from inside and has an almost same layout in the inside. In fact, Renault India started developing made for India 2017 Renault Captur on the Renault Duster platform back in 2014. Now Renault calls it new generation CMF platform that shares underpinnings with the sister SUV. 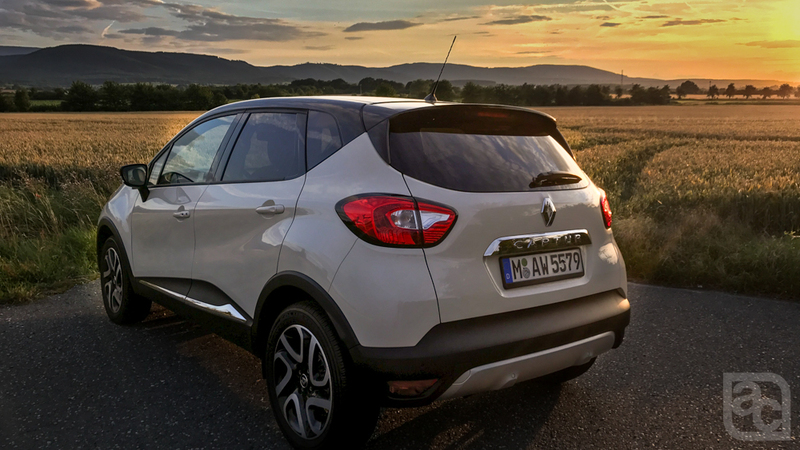 2017 Renault Captur measures 4122 mm in length, 1778mm in width and 1566mm in height. 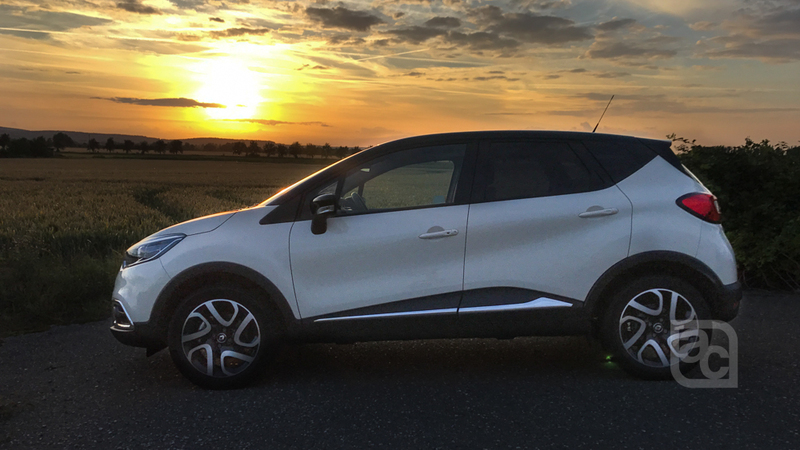 We have driven the European version of 2017 Renault Captur Automatic that was petrol automatic and fully loaded top variant. The equipment will be first in class in India only if Renault launches Captur before Tata NEXON. Because Tata Nexon is going to come with similar features that are not introduced yet in the compact SUV segment. We have driven the 1.2-liter turbocharged petrol automatic variant that stood pretty impressive for our 500kms drive. Without any further delay, let’s jump on the design of 2017 Renault Captur. 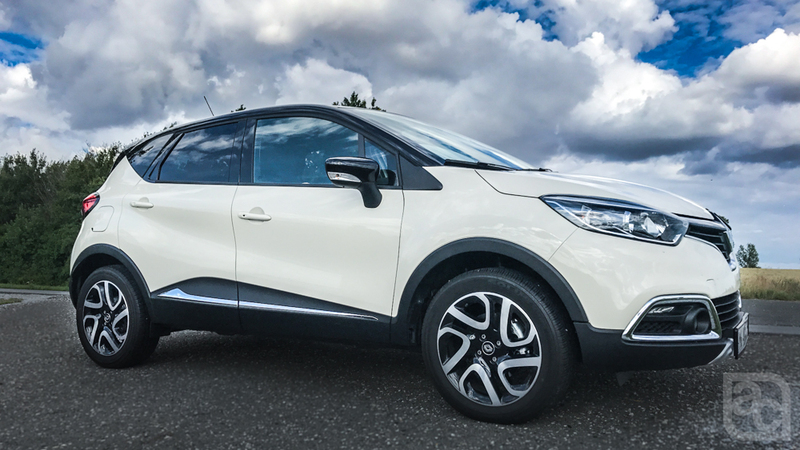 The 2017 Renault Captur looks like a subtle redesign given to the larger Renault Kadjar along with updated options. The car looks not too small not too large and brings unexpected practicality of size for the Indian customer. It can be fitted exactly in the dimensions of EcoSport. It brings the practicality of people mover with the footprint of hatchback considering all the underpinnings of Renault Clio and looks of Kadjar. Available in dual tone the side profile of the car shows an awesome floating roof with a bit of muscle at the bottom line. Side body cladding with a major chunk of black plastic in the bumper makes this compact SUV look much taller than it is. 16-inch diamond cut alloy wheels and 295 section tires give this compact SUV a good road presence with bulged sides. Use of chrome in headlamps, grille, side skirts and a tail is at an optimum level of a premium look. The glossy black roof is another feature that makes this car look premium. The car we drove was with the completely black interior but Renault India will also bring in dual tone interior with black and beige combination. 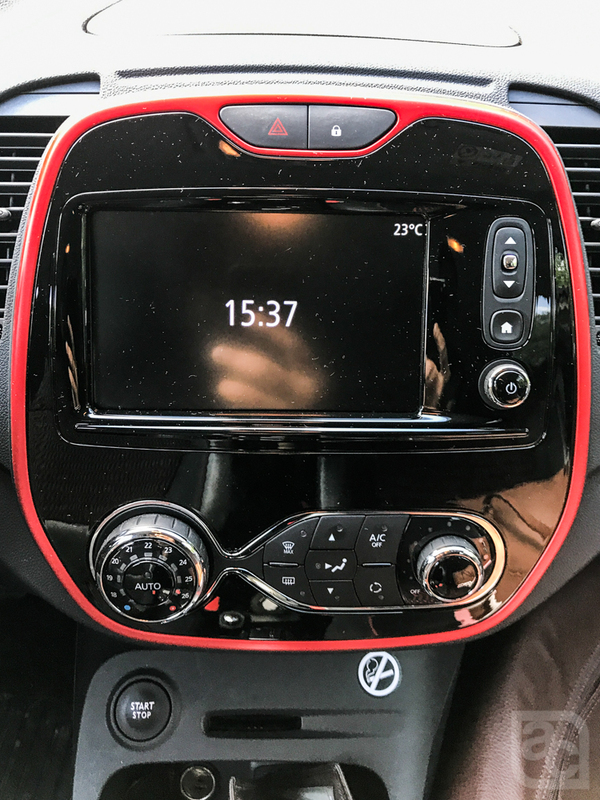 The futuristic looking speedometer is only digital (better version of Kwid) and two dials boast tachometer and fuel gauge. 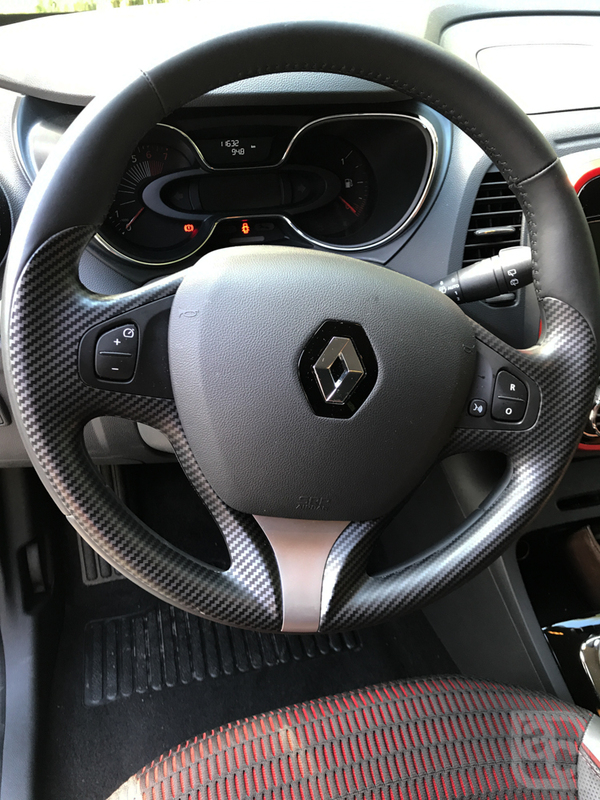 The steering wheel is multifunctional and comes with faux carbon fiber plastic finish. A small LCD display gives vehicle information like terrain modes and cruise control as well as other OBD processed information like instantaneous fuel economy. 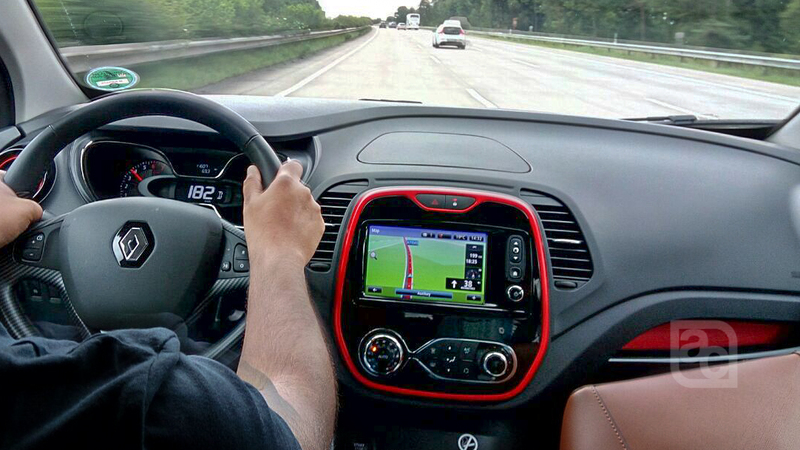 The center console is funky with a large 8-inch touch screen that comes with Renault Duster. The center AC vents are not effective as one of them throws air on the steering wheel that makes driver’s hand really cool. No matter whatever settings you do with louvers the AC brings air on the driver’s hand. The steering is available with only tilt adjustment and not telescopic. The tilt adjustment is really deep below the steering column and it’s tough to reach there while driving or even first time adjusting the steering column angle. The best thing Renault did is with the passenger compartment glove box. It’s a literal tray Renault fitted and it purely slides towards passenger instead of typical hinges like we have seen till now on the other cars. It gives more and organized space in the glove box compartment and you can arrange your energy drink cans in it very systematic manner. The good thing about Captur is the driver and co-driver seats. These seats are much better than the Duster and EcoSport. 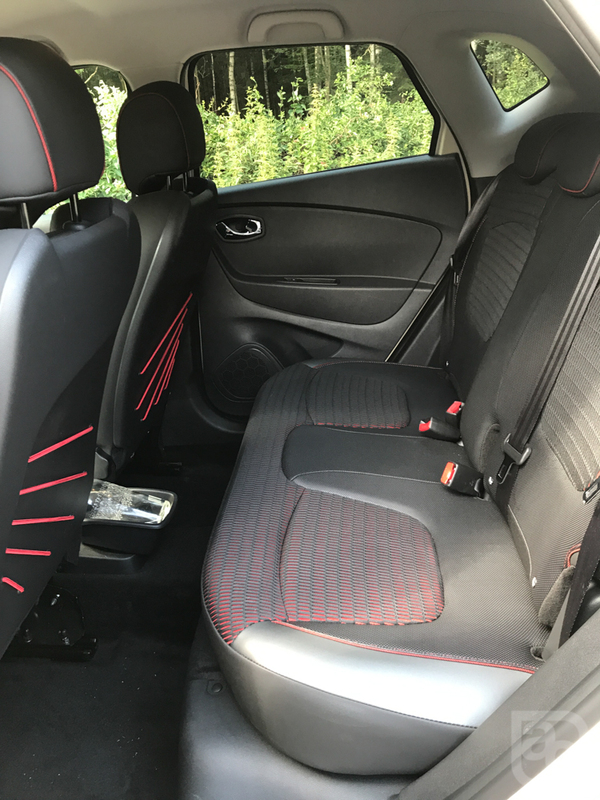 The seats keep you in place with large bolsters and smooth lumbar support at the time of spirited driving as well as highway cruising. There is a big dead pedal available and it really helps in highway driving. The brake lever is really close to lower part of the center console and with sports shoes its bit uncomfortable as the shoe always rubs on the plastic part of the lower dashboard. The rear seats are also as much comfortable as the front one but there is only place for two. The third person should be a child to have a really comfortable journey.The sloping roof has compromised a bit of headroom and rear legroom is not really sufficient for a 6 feet tall person. The rear seat comes with 60-40 split with a good armrest integrated that has holes to keep your soft drinks glasses/cans. All up, Renault says the Captur delivers up to 1235 liters of cargo space, which places it in the enviable position of being up there with next-segment (larger) SUVs. We drove 1.2-liter turbocharged petrol motor with a 6-speed DCT gearbox. The engine is very responsive and the gearbox never gives you turbo kick. Power delivery is smooth and linear. 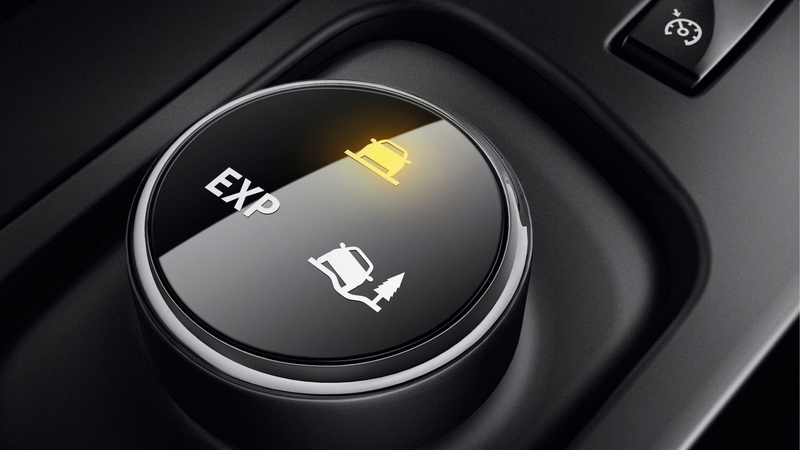 It also comes with different driving modes like Eco, Expert as well as normal mode. The front wheel drive Renault Captur gives best fuel economy when driven in Eco mode. The Eco mode modifies the vehicle’s acceleration, torque/power management, and heating/air-conditioning. The car also comes with Overboost technology that brings in temporary additional torque and power, the Overboost allows more responsive starts from take-off and improved acceleration at wide open throttle. The 1.2-liter turbocharged petrol motor pumps out 116 bhp of peak power and close to 190Nm of peak torque. In India, the car will also come with 1.5-liter diesel motor that churns out 110bhp of peak power with a decent 260Nm of peak torque. Renault has developed a new, six-speed, dual clutch transmission gearbox entitled Efficient Dual Clutch (EDC), available on the dCi 90 diesel engine and the TCe 120 petrol engine. 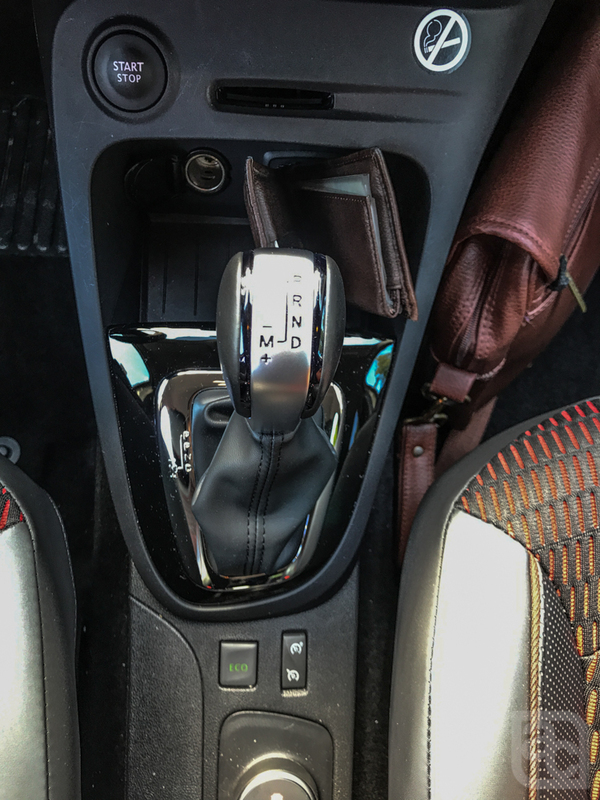 It gives you the comfort of an automatic gearbox, with the response and frugality of a manual gearbox. The EDC gearbox is highly responsive to the driver’s controls and provides swift and easy gear changes. We could actually take the car up to 182kmph on Autobahn with car top speed officially said to 191kmph. Renault cars are known for better suspension in India. The suspension setup on this car is specifically on the softer side to have a more comfortable ride. Ride handling and ride comfort never go hand in hand. You have to compromise one for the other. Surprisingly the optimum setup of both has helped Renault Captur to have a good high-speed stability at triple digit speeds and at the same time a smoother ride with a bit of discomfort at low speeds. Being the European version, the suspension setup was on the harder side so we felt the car really planted on the asphalt at high speeds. In India, Renault is expected to bring suspension setup similar to Duster in the Captur. 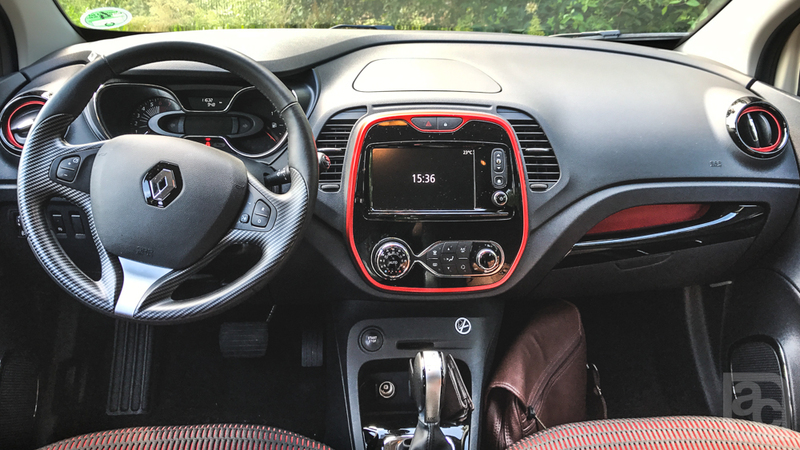 The 2017 Renault Captur is very similar to EcoSport in terms of interior space and practicality but it will be priced much higher than the EcoSport. As we know from our sources that Renault plans to position Captur above the Duster. If this happens, it will not make much more sense for India as the Indian market is always eager for price and size. Bigger the price, bigger the size of a car. If Renault India positions this car below Duster then it will not even get the under 4 meters benefit as it measures more than 4 meters. If this car positioned below the Duster, we expect a starting price tag of 7 lakh INR for the base petrol variant and as high as 15 lakh for top end diesel variant with all wheel drive layout. It will be a good buy only if this comes with all bells and whistles already sold in the European market, and that will push the price tag further more on the higher side of 7 Lakh INR even with heavy localization. There are many cars in this compact SUV segment and few more will enter. Ford EcoSport, Maruti Brezza, Renault Duster, Hyundai Creta and all new upcoming Tata Nexon. Tata Nexon will also have smart features with a distinctive price tag just like Tata Tiago and Tiger. 2017 Renault Captur will compete directly with Tata Nexon and slated to launch this year around festive season in October. Read Renault Duster AWD review here.